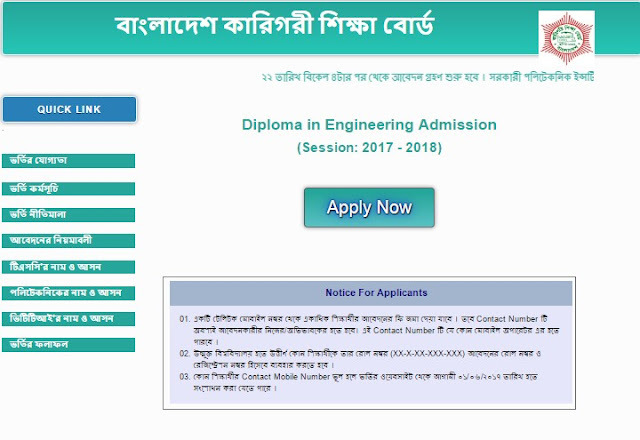 Diploma in Engineering is a four years course under the Bangladesh Technical Education Board. 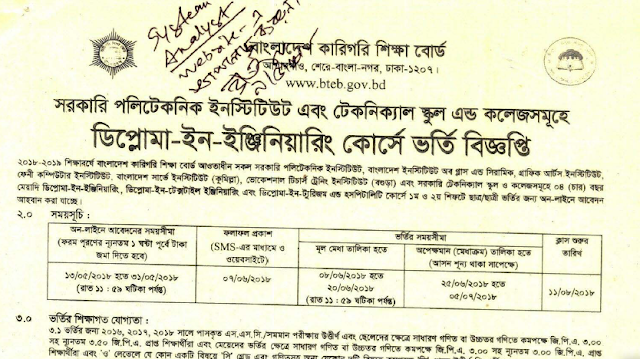 Polytechnic Admission Circular 2018 for the diploma in engineering course will be published for the 2018-19 session by Bangladesh technical education board. The admission notice will publish for both 1st and 2nd shift. The applicant will apply through online. No examination will be held. Only SSC or equivalent exam result is considered for choosing a candidate. One can easily apply online and get admission result from this website. The class will start from 11 August 2018. For Female: Minimum GPA 3.00 with GPA 3.00 in Mathematics/ Higher Mathematics in SSC/ SSC Vocational/ Dakhil (Vocational) or equivalent exam in 2015, 2016, 2017. For Male: Minimum GPA 3.50 with GPA 3.00 in Mathematics/ Higher Mathmatics in SSC/ SSC Vocational/ Dakhil (Vocational) or equivalent exam passing in 2015, 2016, 2017. Passing with a minimum GPA 2.00 in SSC/ SSC Vocational/ Dakhil (Vocational) or equivalent exam from 2008-2017. Candidates will have to submit their application fee and the admission fee of 150.00 (one hundred and fifty Taka) through Teletalk prepaid SIM. 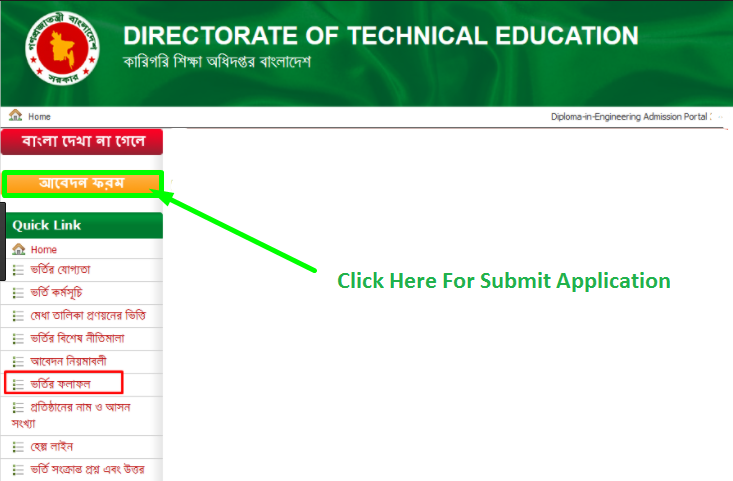 Then click Online Admission button from the website of www.techedu.gov.bd, the website of Technical Education Board or visit www.btebadmission.gov.bd. Open the application form and fill it properly. Go through the Teletalk prepaid mobile phone by going to the message option and write BTAD with space, write the first three letters of the education board name, write the roll number of the SSC examination with the space, write the year of SSC passing year with space, write the SSC registration number, Shift and send SMS to 16222. If the applicant is eligible for the application, then the return SMS will be given with a PIN, name of the candidate, the father’s name. Then Tk. 150/- (One hundred and Fifty taka) will be deducted as application fee and the applicant will get an SMS along with Money receipt number. This number will be saving carefully for online application. There are many private polytechnic institutes in Bangladesh, they are also admitted in Diploma in Engineering course. Thank you for visiting us.